With the holiday season already in effect, good food, good friends and good times are just on the horizon. Emphasis on good food. So today, we have a selection of 5 interesting sites aimed at helping you keep fit this month. Turkey day (T-Day) is back with a vengeance. So let’s meet it head-on and guilt-free. If you’re active and looking for something a tad more challenging than the run-of-the-mill hike, have you considered a Spartan obstacle course challenge? Held periodically throughout the year, the Spartan experience encompasses signing up to attend race courses filled with exciting and fun obstacles. There are various levels of difficulty for different races (even child level courses for kids!). In addition, signing up also gets you into email updates with ” Spartan training” tips as well as “eat like a Spartan” tips. What better way to jump-start any workout routines or obstacle course run, than with fresh threads? Fabletics seems to have you covered. Co-founded by Kate Hudson herself, signing up entitles users to custom tailored suggestions for fitness and active wear. When signing up, new members are asked to take a short quiz, to determine the suggested styles. Users are also asked to choose either a regular membership to choose clothes and products for purchase and simply checkout. Or, a VIP membership, which allows for exclusive deals and offers, such as free shipping and awards. Why not bump up your wardrobe with some new “picked just for you” styles in active wear? We all know one of the hardest day-to-day routines is making grocery lists and deciding dinner. And that goes for any season. The guys at NoMoreToGo.com have created a paid-service of weekly meal guides. Apparently these aren’t any old recipes and meal guides either. Users can rest assured that these meal plans and ingredient lists are created with both health and budget in mind. This service takes the stress out of the age old question “what should we eat?” If you’re on the fence, try the free trial and decide from there. So what are you to eat in between all those filling holiday meals? When the munchies come along, so does the urge for pesky, junky snacks (funny how chips or a doughnut are always within arm’s reach?). And on top of that, in our busy day there’s hardly any time to search for a healthy snack on-the-go. Graze brings well thought-out snacks right to your door. No GMOs or artificial flavoring, just natural ingredients from in-house “snack inventors”. How does a “cinnamon raisin blondie with whole grains and coconut oil” sound? Or how about “Peaches and Cream,” comprised of peach fruit drops, white chocolate and passionfruit buttons, yogurt coated sunflower seeds and coconut flakes? Just a couple snack options from their menu. So you’re working out regularly, burning off those holiday meals, you’re snacking and eating right. How about some tech help with tracking your progress? 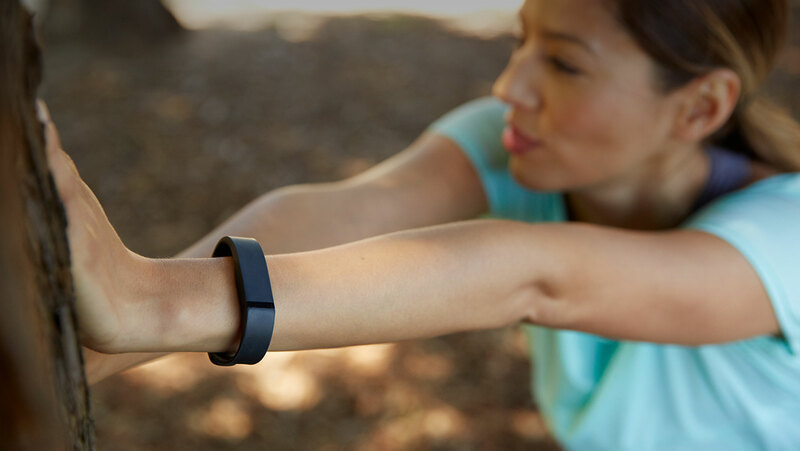 Sleek and elegant with its simple design, the Fitbit Flex makes keeping track of your health short, sweet, and to the point. Wireless and able to sync with most devices, (yes, even your iPhone 6s Plus or Samsung S6 edge+) this step counter/calorie burn counter keeps up with you, even when you’re asleep. So add “sleep tracking” (which gauges how restful your sleep was) and a gentle alarm system that vibrates to wake you up to the list of features. So get going…or just take that well-deserved nap after feasting on turkey this season. Thanks for reading! And as always, make sure to sign up to Shoppyst.com for our upcoming beta service. If you like photos, reviews, and staying up-to-date with the best products, you’ll love what we have to offer. Get inspired.